I am an executive coach, communications adviser, author, and speaker, dedicated to making leaders and managers more inspiring and effective. I believe in leadership. I believe that in the modern working environment, leadership has been undervalued, over-criticized and underappreciated. Great leaders can make great places to work, and they can help organizations grow and prosper. Because of this belief, I have made it my mission to make leaders more inspiring and authentic communicators. I do this by coaching, and training, and by writing books that can help leaders everywhere. Through these activities, I hope that I can make a difference, not just to the leaders I work with, but also the many thousands of employees of the leaders I help. Every person who is or aspires to be a leader has it in them to be a truly inspiring leader. They simply need to learn the skills needed to be inspiring. I am now the author of three business books – “People with Purpose”, ”The Language of Leaders” , and “Communicate to Inspire”, all of which focus on how managers can use the soft skills that enable and encourage super performance. For these books, I have interviewed more than 100 CEO’s and conducted exclusive polls among 3000 managers and 6000 employees on what are the most motivating management behaviours. I speak at conferences and leadership events around the world, and I do leadership coaching. I also do workshops on storytelling, authenticity and organisational purpose and values. My passion is to help leaders and leadership teams to succeed. Scroll down for more information and links to useful resources, my research and books. Kevin's coaching has helped me to articulate a powerful vision for our company in the region, in line with our global vision. This new thinking has been invaluable in helping us make key strategic business decisions, and inspiring and engaging our teams throughout the organisation. I have never been a great reader of books on management as I have always found them heavy on theory and short on real world experience. To thrive today you need people with purpose. 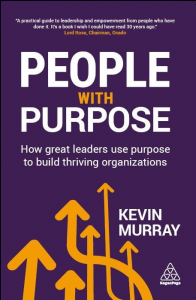 This book shows you how effective leaders develop people with purpose. It’s not a book of theory…it’s a book of practice from the mouths of leaders who have done it. It’s a practical guide to leadership and empowerment from people who have done it. It’s a book I wish I could have read 30 years ago. Kevin Murray is among the most thoughtful and thought-provoking business thinkers now publishing books and articles, when not helping corporate clients to improve their communications and expedite leadership development. This book should really come with a profit warning: reading it, embracing it and implementing the ideas could seriously impact positively on your organisations profits! I have just read one of the most inspirational leadership books for a long time. The Language of Leaders by Kevin Murray examines how top chief executives communicate to inspire, influence and achieve results. Working with Kevin was a great experience for me – there are so many other leaders who could benefit from his coaching. Now, I feel more confident, I look more comfortable. I communicate with passion and emotion. It has really drawn people to me. Customers and clients see me as a more interesting person for them to pursue a continuing relationship. It’s not only external – it’s the same level of engagement now with the teams inside the company I talk to every week, every day. 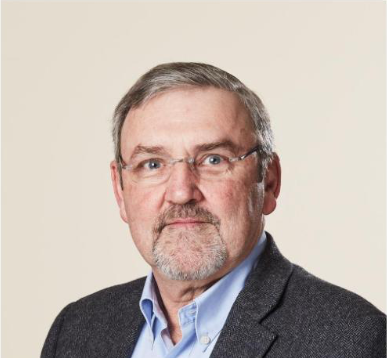 Kevin Murray’s greatest strengths are both his ability to combine detailed, structured strategic thinking, with a pragmatic outlook on life; and his senior executive coaching skills that, in my experience, are second to none. He offers strategy that not only matches the brief, but also takes ideas to a new level within cost effective, results driven frameworks. The bosses I have spoken with have a combined total of over 2,000 years of leadership experience. What can you use from their experience to power and inform the way you communicate as a leader? NEW BOOK: "People with Purpose"
My latest book, “People with Purpose” is about how great business leaders use purpose to power what he calls “super performance”. It is also about the wider concept of what it takes to give people a sense of purpose. Kevin works as a Leadership Communications coach as well as a Public Speaker.